Did you know that many of the most popular cities in the U.S. wouldn’t be what they are today without air conditioning? The appeal of Vegas, for example, would be a lot lower if air conditioning wasn’t around to shelter residents and visitors from the intense desert heat. Many of us rely on air conditioning for either seasonal or all-year comfort. When something goes wrong with our air conditioning systems, a feeling of panic often sets in: what if the entire system requires an expensive replacement? Luckily, in most instances, air conditioning repair is likely to be a smaller, more affordable fix. 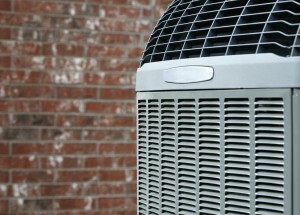 Here are a few things you should know about air conditioning maintenance and repair so that you’re better equipped to handle any problems that come your way. Get regular checkups on your air conditioner so that small problems don’t become an issue you need to call in a specialist for. Both the National Air Duct Cleaners Association and the EPA agree that there’s value in getting air conditioning duct cleaning. When mold, debris, or pests get into the duct system, getting the system cleaned can cut down on allergens and potentially improve the performance of your HVAC system. Some studies show that cleaning dirty coils can improve system efficiency by up to 40%. You can clean out the evaporator of your unit by yourself. Just remove the tray, empty it, and clean the underside using a stiff bristled brush. Keep out the sun. There are a few ways you can do this. Smart landscaping with leafy trees is one idea. Curtains are another common and easy solution. For a less easily visible sun blocker, consider getting tinted windows. These windows can block the majority of infrared radiation, reducing cooling costs by as much as 30% and helping to prevent furniture and carpet fade. Use a programmable thermostat; it can keep your home cooler while you’re there, and lower the burden of cooling while you’re at work. Have your home checked for cracks that leak out your cool air. A thermographic camera, for example, is one test that can illuminate where better insulation or sealing is required. Follow manufacturer instructions on when to change the air conditioning air filter; typical for 1″ to 3″ filters and an average home with pets is a change every three months. How do you deal with air conditioning repair? Let us know in the comments. I know that last summer, my electricity bill was higher than normal and I think it was because of my HVAC system. After reading your article, I have a better idea of some things I can do to help. I will look into getting my AC looked at by a professional, but additionally, I will change the filters and try to add some window curtains. Thanks for these ideas! Using the programmable thermostat is a really good idea to keep your bills down. I know that right now, my AC is running 24/7 and that is a lot of wasted energy. I don’t really know how to set my thermostat up, so I might just call a repair company and see if there are any issues with my unit. Thanks for the awesome advice!